Top losers in the session included Maruti, Tata Motors, RIL, Yes Bank, Adani Ports, Bharti Airtel, Asian Paints, ONGC, HUL, Kotak Bank, IndusInd Bank and Axis Bank, falling up to 5 per cent. Benchmark equity indices cracked for the third consecutive session Thursday on negative global cues, weak rupee and sustained selling by foreign as well as domestic institutional investors. 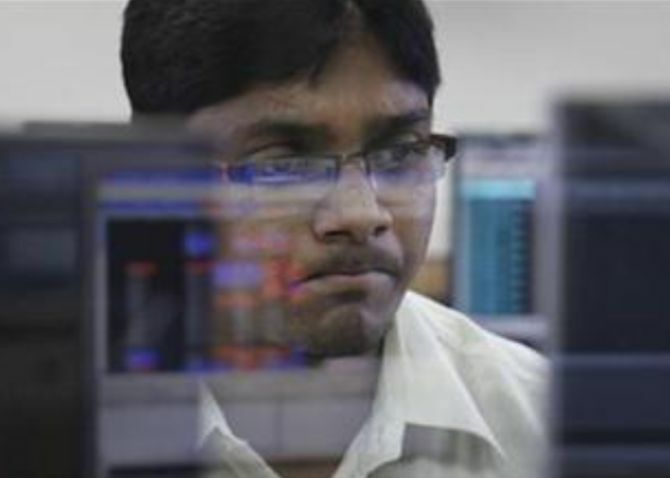 The BSE Sensex plunged 572.28 points, or 1.59 per cent, to close at 35,312.13. Similarly, the broader NSE Nifty fell 181.75 points, or 1.69 per cent, to 10,601.15. According to analysts, global markets were in a risk-off mode due to fresh flare-up of tensions between China and the US. Oil prices are inching up on expectation of production cuts by Russia and Opec, weakening rupee further. The rupee was trading 36 paise lower at 70.82 against the US dollar intra-day. The currency fell to an intra-day low of 71 per dollar mark amid strengthening American currency and weak domestic equity market. Oil prices extended losses ahead of the crucial Opec meeting. Brent crude, the international benchmark, was trading 1.82 per cent lower at $59.74 per barrel.